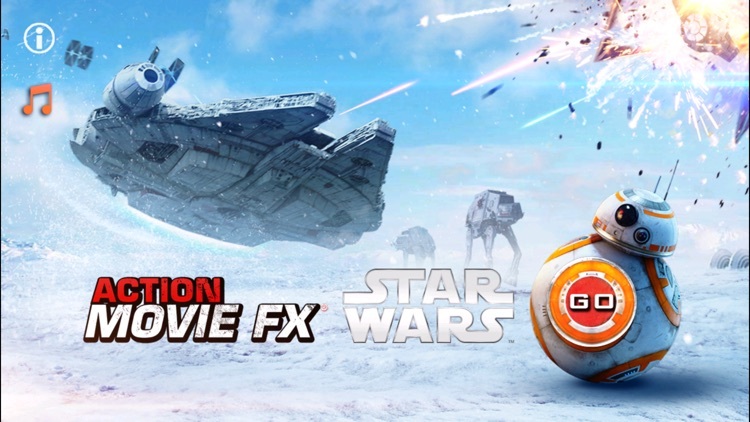 SAVE nearly 80% on the MEGA FX PACK and get 20 BLOCKBUSTER FX for $1.99 USD! 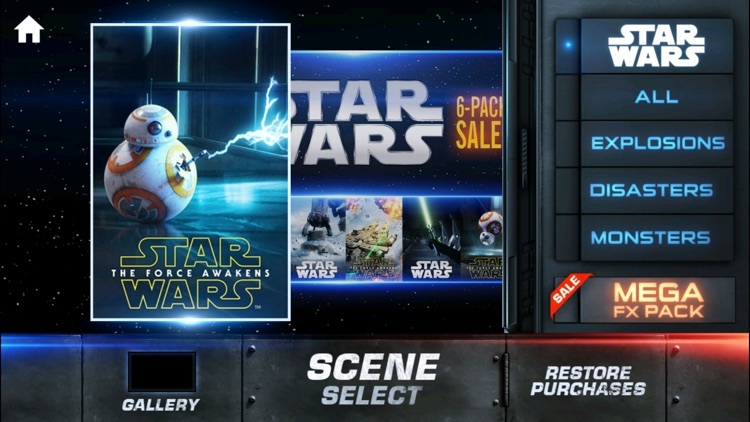 STAR WARS UPDATE includes 7 exclusive FX created by the same artists that made the feature films: Industrial Light & Magic and Skywalker Sound! GIFs! For the first time ever, easily share your masterpiece as a GIF! Share your blockbusters using Twitter, Instagram, Facebook, Messenger or Email! All the action is better! 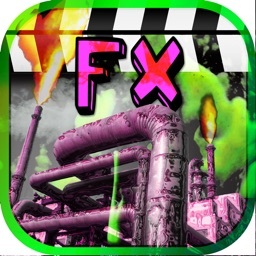 Your previous FX have been updated to HD for free. Get them now - press RESTORE PURCHASES in the iPhone and iPad app! Select a Scene like "ALIEN BURST," film a target and ACTION MOVIE FX adds an ALIEN BURSTING OUT of anything in your movie! 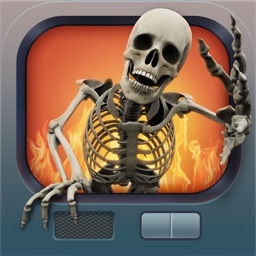 *7 FREE Big-Budget FX! BOMBING RUN, SPIDER STRIKE, AVALANCHE, MISSILE ATTACK, CAR SMASH, DEMOLITION ROCK & ROUGH TERRAIN! *VFX by Industrial, Light & Magic! *Sound Design By Skywalker Sound! 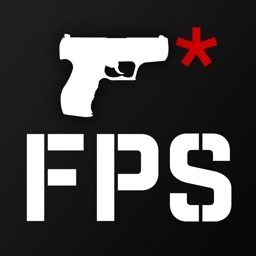 *Music, Sound FX and Lens Flares! 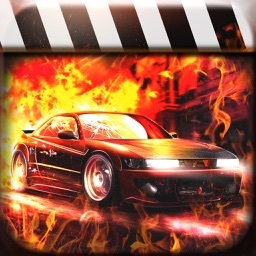 Look like an action star as you evade a massive CAR CRASH! Direct a MISSILE ATTACK at that broken office printer! GET CREATIVE! Shoot your movies at ANY SCALE from toys to life-size! 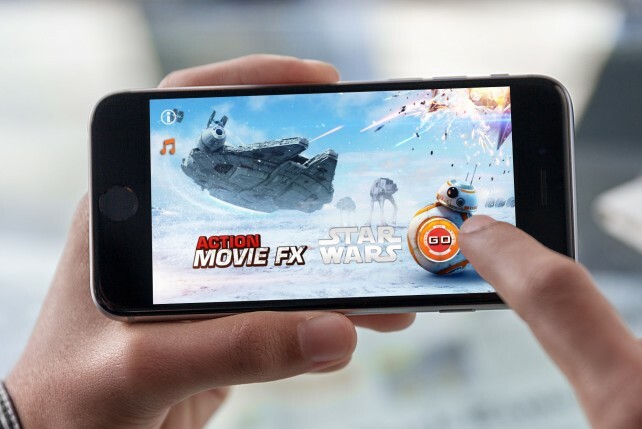 - MEGA FX PACK SUPER SPECIAL: 20 BLOCKBUSTER FX NOW FOR JUST $1.99 USD! MORE FX TO COME - STAY TUNED!!! STAR WARS © & ™ Lucasfilm Ltd. All rights reserved. Used under authorization. STAR TREK INTO DARKNESS ©2013 PARAMOUNT PICTURES. ALL RIGHTS RESERVED. STAR TREK and related marks and logos are trademarks of CBS Studios Inc. Requires iOS 7.0 or later. Compatible with iPhone, iPad, and iPod touch. (Optional) Apple Watch. Please email [email protected] with support questions! 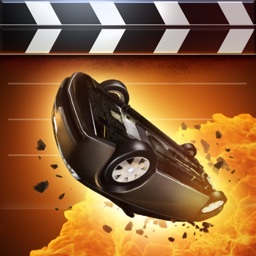 Create videos with awesome explosions, dangerous robots, and crazy car smashes using amazing audio and visual effects. Action Movie FX is giving you the ability to not only direct your action-packed and effects-laden films but also to star in them.